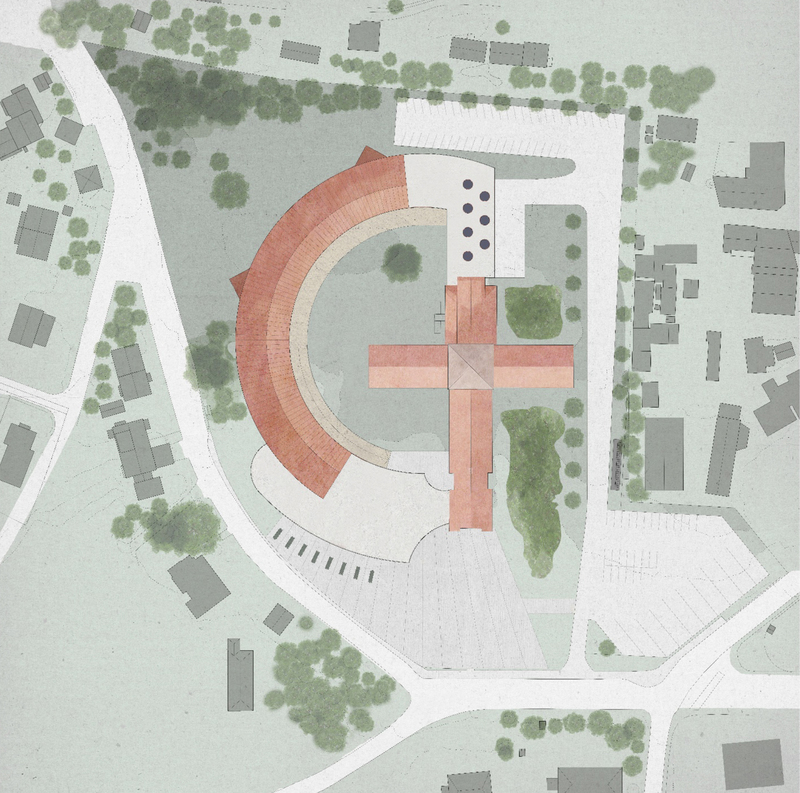 Competition project for the extension of the 1920s museum by Arnstein Arneberg on Oslo's Bygdøy peninsula. 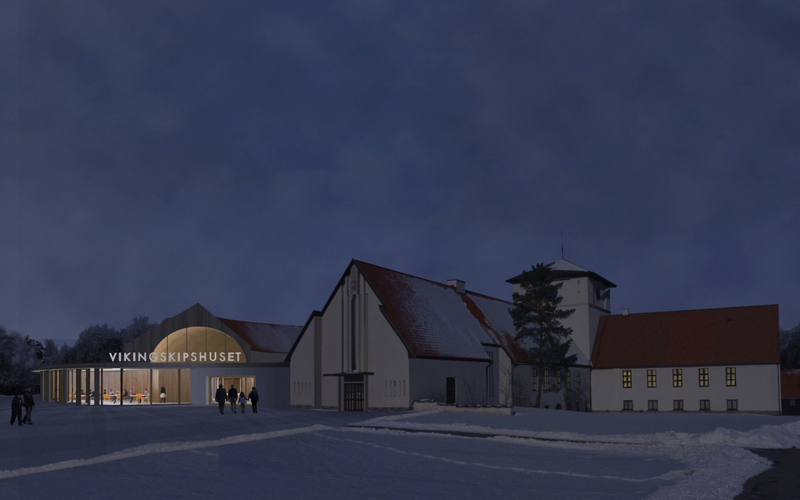 The Viking Ship Museum houses the most significant artefacts of the Viking era and the most precious objects of Norwegian history. 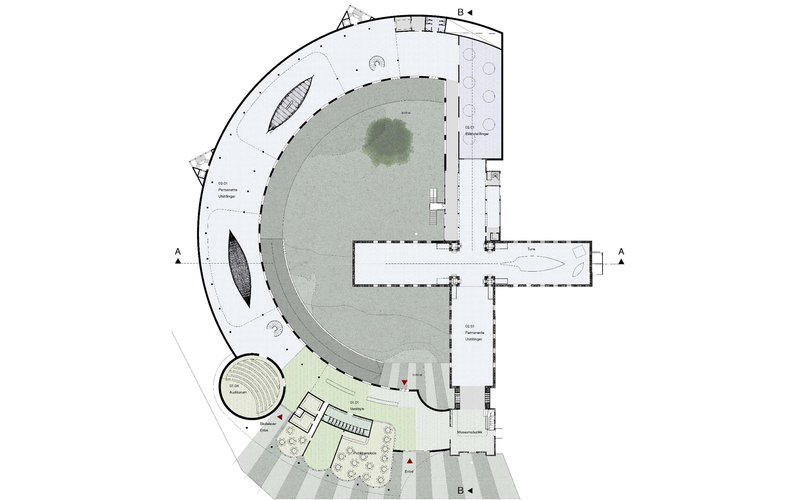 The new building is a two storey hall which curves around in an arc from the front around to the back of the existing museum building. 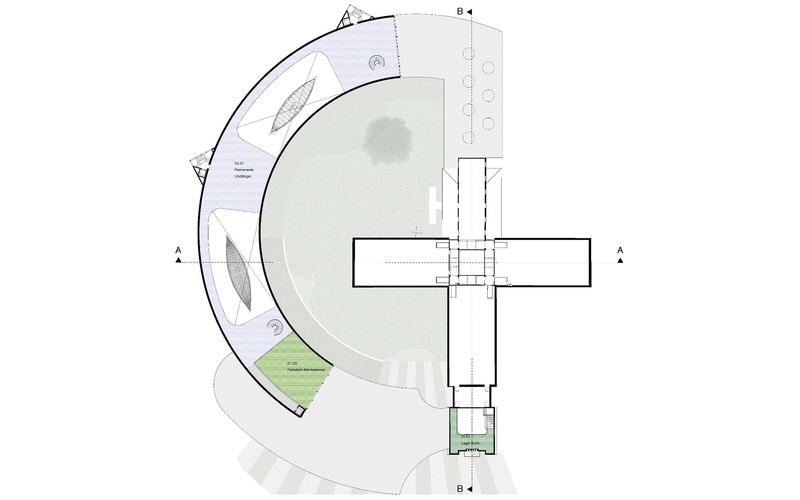 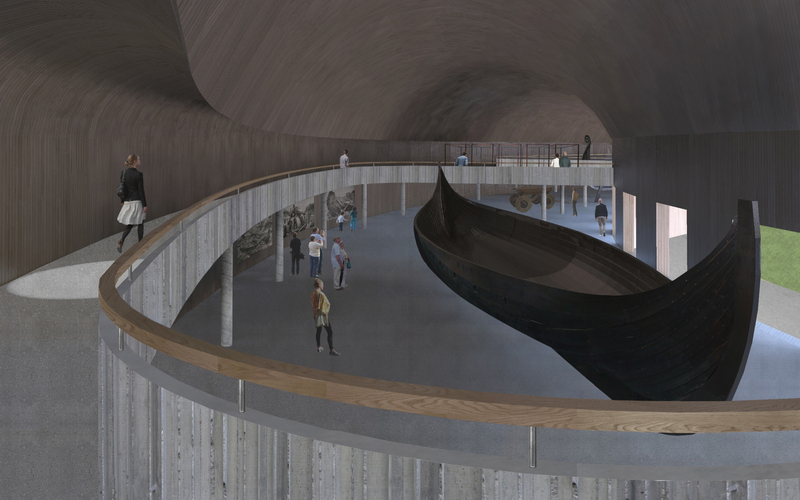 This allows an historical narrative of the two Viking ships and the objects and stories that accompany them to be viewed from ground and mezzanine level. 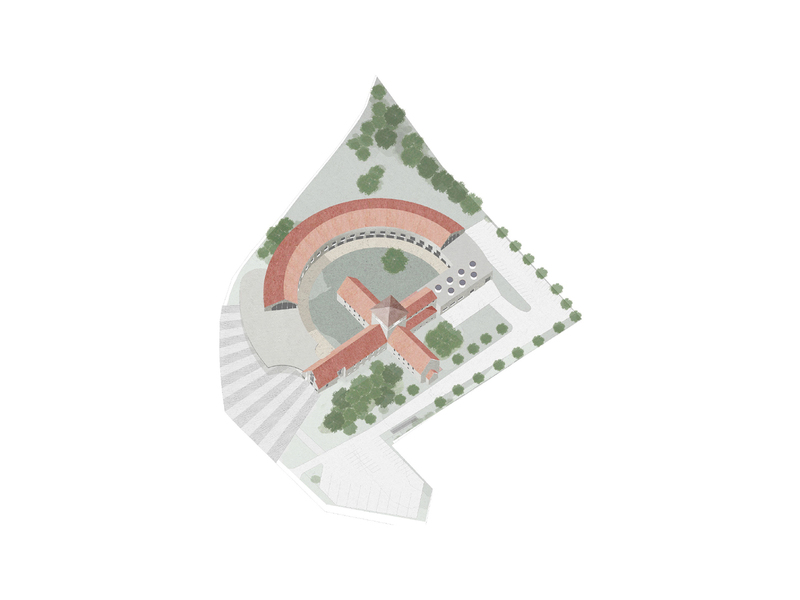 Beneath the curving new hall is an open set of research and conservation workshops that can be viewed by the public from a wide corridor that also gives direct access to the inner courtyard.